I met Shiv Kumar in 2014. A man full of life - but moments taken away from it. Some because of illness and MANY because of litigation. Shiv has been battling a court case with his legally wedded but in all ways separated wife since last more than 10 years. She first allegedly left him when he was on death bed after a fatal accident within a year or so of his marriage(he was a newspaper vendor, used to distribute newspapers, a bus hit him one day while coming back from work in the morning.) He survived. She filed a dowry case. He was dragged to the police station while his stitches were still fresh. Cops realized his condition and did not file an FIR. He had to eventually bow down in front of the cops and bring her back. She left again and since then he has been fighting court cases with her. As he shares - his wife never wanted to stay with his family, wanted a separate home and never liked him taking care of his old parents and unmarried sister. When his wife filed a domestic violence case on him and his family, his father who was already dead was also named in the complaint. He had to produce his death certificate to tell the court that he can no longer be an "Accused." Shiv has a son who he has never played with/interacted with/spent time with. For few year, he gave maintenance to his wife and child. Then...he fell seriously ill. Doctors first told him that he had cancer only to diagnose a TB later, after several months of medication. He could no longer pay maintenance to his wife as he could not earn anything for himself or even his family. As the maintenance amount started piling, his wife started asking in the court for money. Till now, she has got him thrown in Tihar Jail twice for one month each for non payment of the pending maintenance. First time when he was thrown behind bars, the authorities themselves wrote to the Judge to get him out lest he dies inside the Jail. He spent days in the hospital each time after coming out of the Jail. But...he is a Husband and He Has to Maintain His Wife since former SC Judge Justice has said - Beg Borrow or steal but pay maintenance to your wife!!!!! 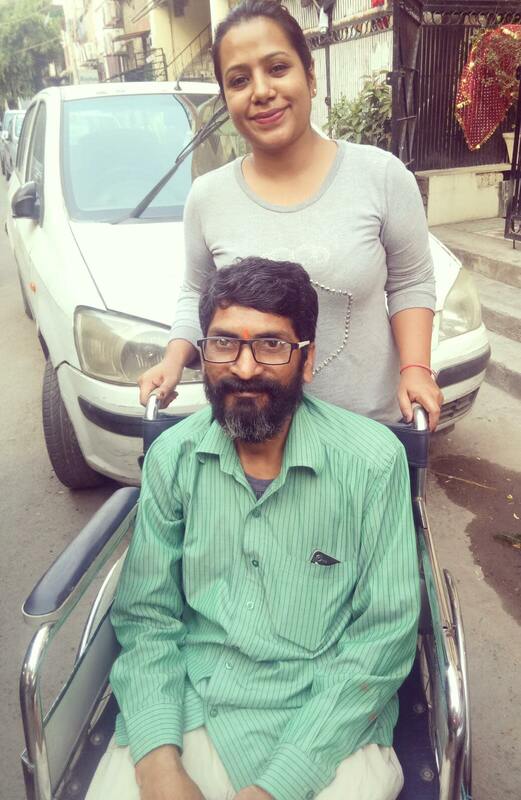 Shiv's wife, who is completely healthy and able, claims she is not working. No one asks her in the Court why is she not working. She also claims that Shiv's medical condition is a LIE. She challenges diagnoses by senior doctors and treatment at AIIMS. Last judge who was hearing his case had sympathy for him and thus on constant claims of his wife that he is lying, constituted a medical board to analyse the condition of his overall health. He was in hospital for several days. By the time he came out and his date came, a new judge had joined. I attended a court date of Shiv. It was a horrible experience. His wife cried loud in the court and smiled outside. The judge heard only her and her lawyer. Shiv was supposed to remain mute. His lawyer spoke (free from Legal Aid) and little did he really know the case. When Shiv opened his mouth just to say "Judge sahab mujhe maar dijiye par main isko paise nahi de sakta" the judge said "dikha di na tune apni aukaat" I felt like yelling but could do nothing. I took his wife into confidence and asked her how much would she take to leave the man be in peace - she said 10 lacs! I spoke to the son (who she brings only to show his face and ask money for him) - he told me he has been taken out from the school by the mother since papa doesn't give us any money! I asked Shiv's wife - why not send him to a government school? Education is free there - she chose to ignore my question! Shiv was thrown in Jail for non payment of maintenance once again in January this year. 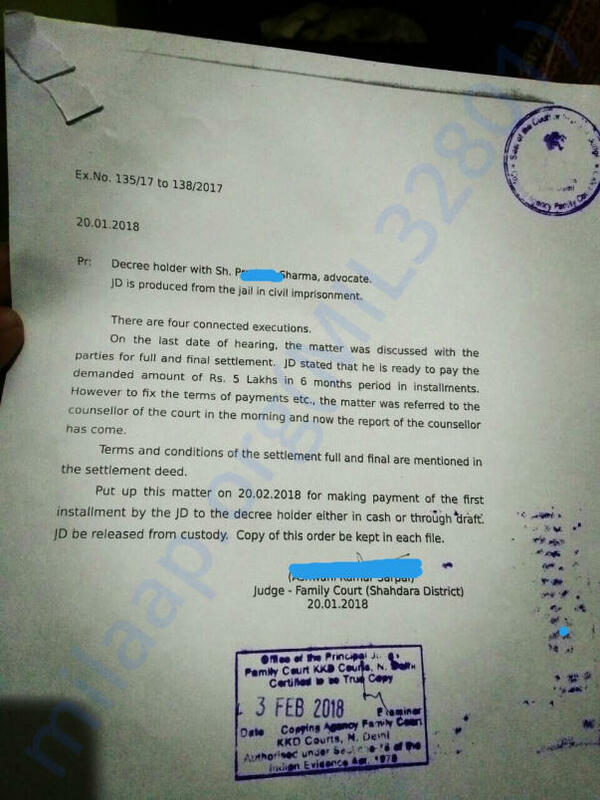 After he came out, he accepted a one time settlement amount of INR 5,00,000 (5 Lacs) as Alimony for his wife and the child to bring an end to this litigation and obtain Divorce, as asked by the Court. Shiv Kumar says that he has no means to pay this amount. In past as well, I have arranged money for Shiv Kumar even for his medicines. SHIV now wants to do something to take care of his basic needs at least and not be a burden on his sister and widow mother. It isn't possible if he keeps doing rounds of courts and earn only to pay the arrears of the maintenance amount. I URGE you to please help. Smallest amounts will help us reach the target. Next date for instalment for Shiv is 20th March where he needs to pay 1.5 Lacs as part of final settlement. PLEASE DONATE AND SHARE ABOUT THIS CAMPAIGN. 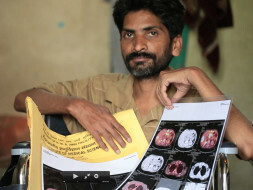 If any of you wish to reach Shiv, email me on deepikanarayan@gmail.com I shall be happy to connect you with him or his family. I hope we can together find some happiness for this man. PS: Any extra amount generated than the target shall go to shiv only for his medical treatment and medicines. As shared before, Shiv is through with his divorce. There is small amount pending in this fund which is being transferred to him so that he can sustain for sometime financially. Shiv is desperately looking for a job. If anyone of you can help him with anything, please call him on 9871436082. Please know that your donation reached the needy and has resulted into intended outcome. I hope Shiv doesn't have to see a court or jail ever in his life again. Thanks to all of you and Milaap too who enabled this campaign and helped and supported in all ways. Would recommend this platform to any needy in India for raising funds for things that matter to you. Hope you are doing well. We have almost reached our target for Shiv. I am transferring the entire funds raised in his account now. Previous instalments have been paid and his final motion is the only thing pending now where full and final amount will be given and divorce decree will be taken. Thanks a ton for all your help and support. Thanks once again. I will now connect with you all once his divorce is through. All the best Bhai!!! Hope things will be good soon!! !